There Is No Place Like Home…Gardening! Here at Creative Custom Builders, our main goal is to build you the home of your dreams. But we have been thinking, what happens after we build your dream home? It is quite simple actually! Now that you are all moved in you probably have the itch to begin yard work! 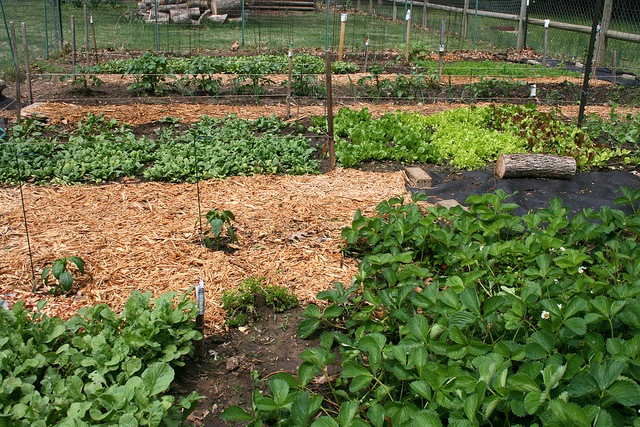 This month we are going to teach you how to build the garden of your dreams! We know that it can be difficult to stay patient for Minnesota weather to be consistent enough to start gardening. As a general rule of thumb, we’ve found that the best time to start gardening is the middle to end of May. This is typically the time that freezes are no longer an issue. However, we can have a freeze up until June so make sure that you keep a watchful eye on the nightly weather if you decide to plant early! When waiting for the weather to warm we recommend that you start planning your garden out by browsing through seeding catalogs or sketching out what you plan to envision in the upcoming months. This year, don’t forget to save room for fruits and/or vegetables (i.e raspberries, tomatoes, carrots, or maybe even corn)! Now is also a good time to go out and buy the mulch you will be using. If you can push a skewer 10 inches into your yard that means that the ground is officially soft enough for planting. Pay attention to the soil, if it is moist when you pull the skewer out of the ground there is no need to water, if it is dry you should water immediately. Finally, it is time to start planting! Many gardeners are always looking for that little extra color and flair that makes their garden stick out. We recommend planting a mix of flowers that bloom all summer long. This will allow your garden to have consistent color throughout the entire summer! When hanging your planters this year, lower them by six inches. Don’t strain yourself when trying to water them. Allow yourself to easily access them it will make you enjoy them even more this year! Finally, be aware of your neighbors and yourself when considering allergy season. We hope you are as excited as we are about the warm weather and gardening season. Follow those five steps to ensure that you will have the best looking garden you have ever had at your dream home!